Yey for my editing skills! HAHA Guys, please pardon the amateurish editing of the video and the cover art. I'm still a noob when it comes to these things but I feel as if I'm improving. Am I not? (YES. YES). I wonder how all those stuffs fit in that pouch! Haha! Nice video! Treasure! Your pouch is full of treasures! Hahaha! I love that cute blush! aha! new beauty finds to try! Haven't tried most of them so i'm going to search them soon. Nice video.. keep it up! Ugh I'm having internet issues, so I can't watch the video continuously.And mejo mahina ang audio, but malinaw naman ang visual. 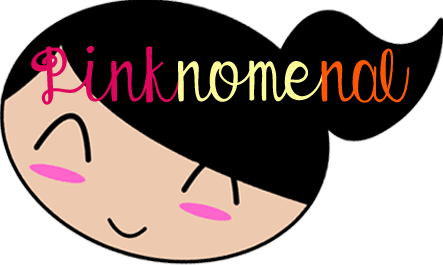 :) I'm starting to get more curious about Korean makeup products. Cute pouch. I also have a pouch for makeup kahit I rarely use makeup. Pang 'just incase lang'. It's amusing how so many things can fit in that small pouch! I have made my pouch must-haves as few as possible since I became a mom. Don't have much time anymore. Hahaha. 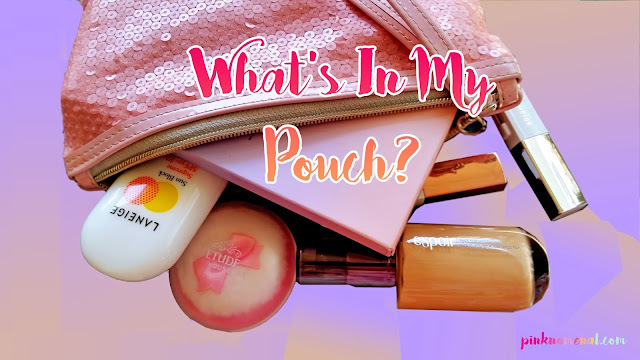 I used to have a pouch as well but now that i always carry a big bag full of baby stuff, i just squeeze in my lipstick and powder inside the big bag. It amazes me to see your cute pouch full of all those beautiful colors. What a lovely makeup pouch, and even lovelier inside! Mine has lipstick and pressed powder only. Sigh! Supper cute sis, ang liit lang ng pouch mo pero marami ang laman at ang cute din ng laman, hehehe I love it. love to see your south korea tour, and you have shared amazing beauty products, i really want to get all of these, i am allready big lover of makeup.thanks for sharing with us, keep it up.